Designed to help you see your way clear through a variety of emotions and lifetime events, Fuss Free: Seeing Clearly and Fuss Free: Seeing Clearly 2 are templates with multiple photo spots, fun glasses shapes and loads of varied elements to help you creatively express yourself! Purchase Fuss Free: Seeing Clearly and receive Fuss Free: Seeing Clearly 2 FREE. 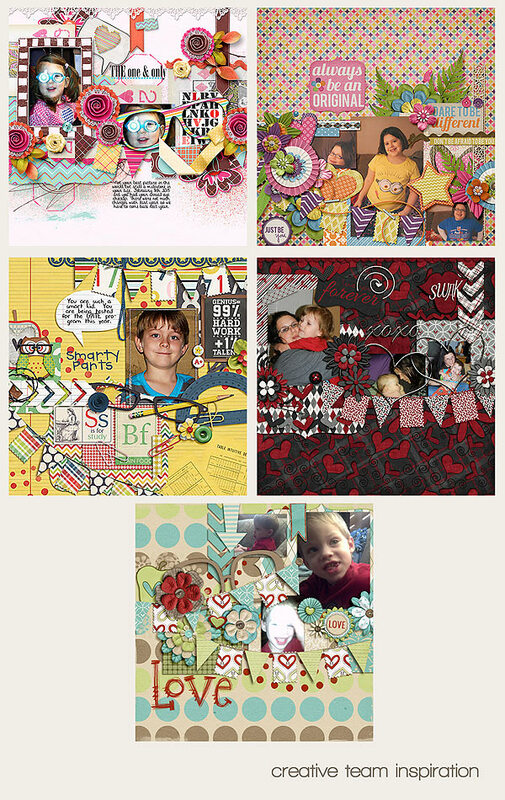 These sets are Fresh Fruit priced at 20% off ~ that's $3.60 for 8 templates. This offer is valid through February 20, 2013. Take a look around you, snap pictures of what you're seeing, and use these fun templates to help you document your memories! Have a fun and scrappy week!